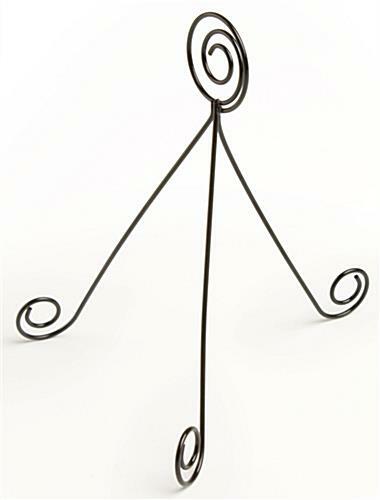 These Picture Card Holders are Made of Durable Wire and Feature a Easel Design, Perfect for any Desktop! 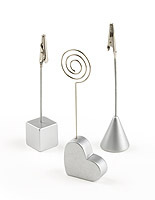 These Picture Card Holders can Display Photos, Memo, Notes, and Small Signs! Buy Metal Photo Frames Online Today, Hundreds of Models to Choose From! 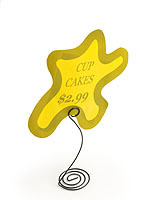 These memo clips, sign displays and other picture card holders are the ideal way to attract client awareness to your merchandise. 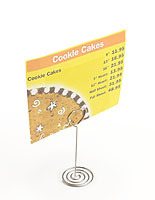 The sign displays, picture card holders are great for any desktop or checkout counter. 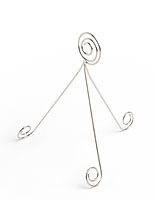 We supply these picture card holders in a silver finish and many other designs. These picture card holders will be sent to clients in boxes of 50 units. 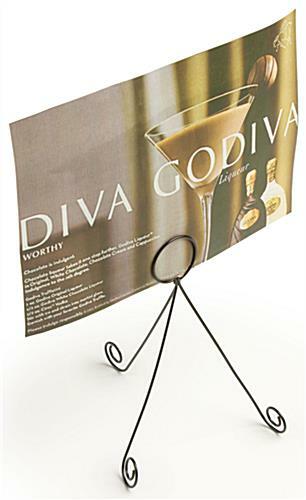 Use these picture card holders as an advertising instrument to market your 'for sale' products. 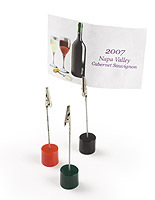 These picture card holders are an useful and affordable way to present your subject matter and campaigns. 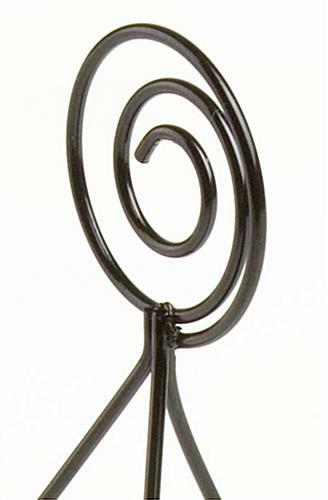 These memo displays, picture card holders are produced from rugged wire with a powder-coated black finish. 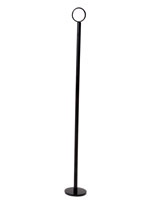 With an easel shape, these picture card holders can effortlessly fit into any setting. 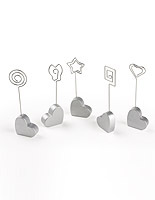 These picture card holders, also referred to as note holders and sign displays, are usually found in settings like florist shops, retail stores, restaurants and offices. 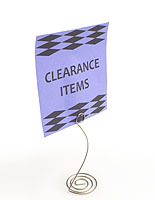 Please Note: When purchasing, 1 unit = 50 memo holders. 4.3" x 4.5" x 4.5"